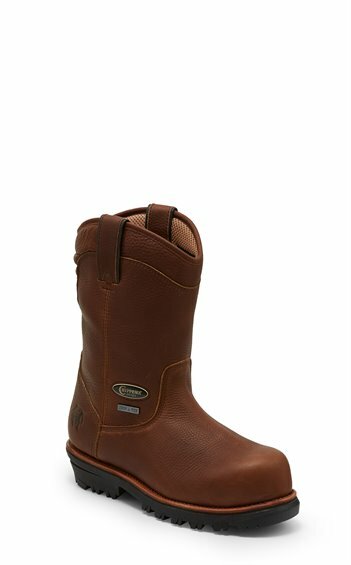 Take charge while staying protected and comfortable in the 11" Honcho Waterproof Comp Toe Pull-on boot. Its Chip-A-Tex® waterproof construction is designed to help keep your feet dry, and the nano comp toe offers state-of-the-art protection. Inside, the Chippewa UCM® Comfort System insole with flexwelt has comfort under control, and on the ground the Vibram®Chippewa Foreman outsole provides durability and grip.